After three months with Flick Electric Co. as our power provider, it’s time to share our experience so far. Read on for the Flick Electric review! Who Are Flick Electric Co? The idea for Flick Electric Co. originated back in 2013 with the idea to establish the first New Zealand electricity retailer with pricing based upon wholesale electricity prices, or the ‘spot market’. 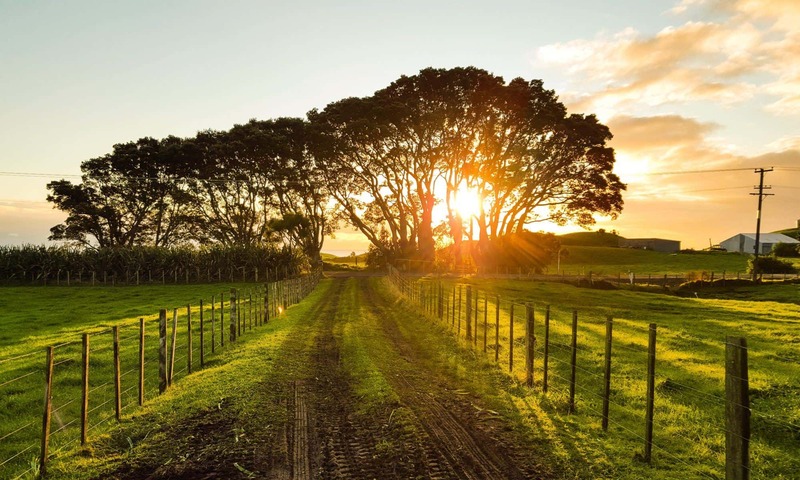 This was (and is) a massive shift in the kiwi marketplace, but is an approach that has successfully been operated elsewhere in the world for more than a dozen years. More on this below. If you are interested in some more of the startup process, there is a short but insightful interview with Flick CEO Steve O’Connor at NZ Business. Over the course of 2013 and 2014, the product was developed and launched to a small number of Wellington and Hamilton customers in late 2014. From there Flick has expanded across the country, but do not yet cover all regions of NZ. Flick’s ownership is diverse, spread amongst more than 30 individuals and investment vehicles. The largest investor is Eastland Group, the power distribution company based out of Gisborne, with around 18% of Flick. Other prominent investors including the founder of IT-services firm Datacom and the Accident Compensation Corporation (ACC). Compared to some of the larger, more traditional, power retailers Flick is still a minnow. 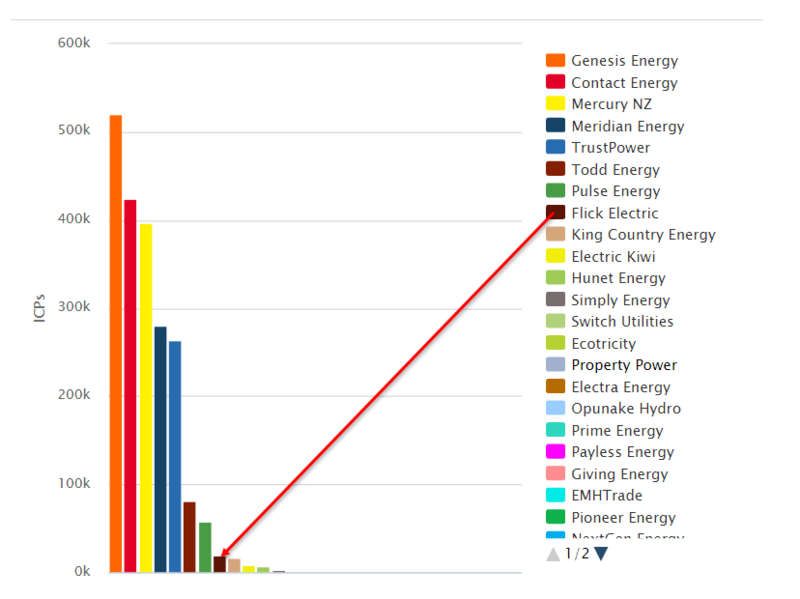 The chart below shows the size of Flick, with just under 20,000 power connections (0.9% of the New Zealand market) compared to the wider industry. What is truly interesting, is that over the past 12 months Flick has added more than 10,500 new customers, doubling its customer base and continues to grow. This compares to 9,200 customers added by Mercury Energy (who have recently rebranded) and 7,500 customers added by Electric Kiwi. Check out the chart below. How Does Flick Electric Work? Flick’s business model is very different from almost all other retailers. Flick buys electricity in the wholesale market and then passes on the actual cost of the wholesale power, plus the actual power transmission, distribution and metering costs incurred. On top of these actual costs, they add a fixed power retailer margin. The main difference for you as a customer is that if the price of wholesale power goes up and down, then so will this portion of your electricity bill. where you are in the country. In general, prices will follow a reasonably predictable pattern. With power cheapest in the middle of the night, when the country is asleep, and in the middle of the day. Prices are most expensive around the morning and evening peaks. When we are making our morning cup of coffee or cooking dinner. No matter how when and how you use your power, you pay the same rate (e.g. 19.86 cents per unit) for power. Generally, the rates are fixed for a minimum 12 months, but some retailers will fix for longer terms. Mercury Energy, for example, is currently running a campaign fixing pricing for three years. In order to be able to fix your rates, the electricity retailer will predict what they think the power price will be over the coming year. By offering fixed pricing, the retailer is taking the risk if there are massive power price spikes, but also getting the benefit when wholesale prices drop. This is less of an issue for a large ‘gentailer’ who both generates electricity and retails power, as if the power price spikes they are likely to get a higher payment for their generation. But this risk of spikes can be a major issue for startup retailers, such as Flick. If you have been around that long, you may remember a flurry of new power retailers popping up around the year 2000… and then most of them disappeared again. What Flick has done is passed the risk of price spikes, and any benefit if wholesale prices dip, into the hands of their customers. The theory being that by taking less risk themselves, and keeping their cost of doing business under control, they can offer lower retail margins. 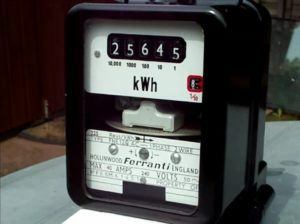 For a standard user, the Flick margin is 1.5 cents per unit (kWh) of power, plus 40 cents per day. For Low Users, it’s even more interesting. The Flick Electric margin is higher, at around 3.5 cents per unit, but there is no Flick daily charge. There is, however, a metering charge of 15 cents per day which is passed on. The lack of fixed daily charge can make a difference if you are a very low power use household, more on this below. Flick don’t do fixed term contracts, so you are free to leave at any stage. There are only two pricing plans, one for Low User residential households and one for everyone else. I did a post a while back about the important differences between Low User and Standard user, and why being in the wrong category can cost you significantly. Make sure you get it right. Yes. You’ll need to have a smart meter in order to sign up to Flick. Traditional meters, both electromechanical (can you remember those ones with the spinning silver disk?) and fully electronic, continuously record your power use but not the time of day it is used. They usually need to be read by a meter reader as well, which leads to issues with actual and estimate readings… never right are they?! Newer smart meters do two things differently. They record your usage on a 1/2 hourly basis and also transmit this wirelessly to the metering company. The metering company in collate the data, and then share with Flick. 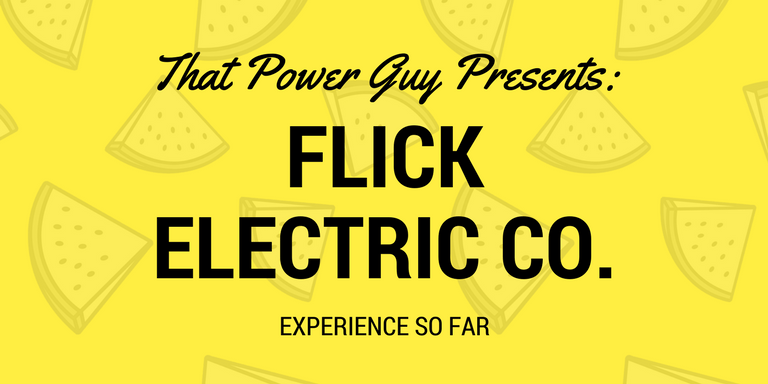 Without the half-hourly data, Flick is unable to align your usage with wholesale power prices. If you don’t have a smart meter at present but want to switch to Flick, ask them if you are eligible for a free smart meter upgrade. I have heard of customers having the upgrade done for free although it does take a while apparently (up to two months). There are terms and conditions for the free smart meter upgrades on the Flick website. Linking residential power prices to the wholesale spot market is not really new. The most frequently referenced example is Norway, which deregulated their electricity market in 1998 (around about the same time as New Zealand) and now more than 60% of electricity consumed is linked to the spot market. Norway does have the benefit of being closer to other countries than NZ, and linked by power interconnectors – allowing them to export and import power from the European market which should help avoid large price spikes, like those that can occur in NZ during a dry summer or in the event of a transmission constraint. Spikes in power pricing do happen. The NZ Herald reported about low lake levels as recently as June 2017 in an article that explicitly discussed the impacts upon Flick customers. Exposure to the wholesale market does have downsides. In 2016, wholesale European power prices were significantly greater than expected. 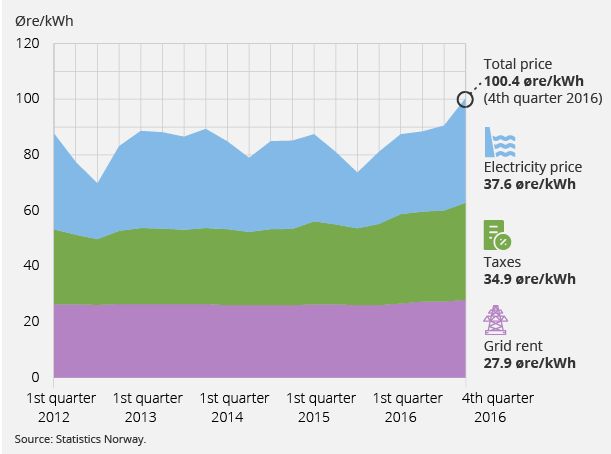 According to Statistics Norway, this meant that the average price of electricity for Norwegian households was 18% higher than in 2015. In this instance, those on fixed-price contracts won. If you currently have, or are thinking of installing, solar PV then unfortunately Flick is not the right retailer for you. [That Power Guy]: Hey Flick. Just to clarify, hypothetically if I had solar I could be a Flick customer there would just be no buy back rate? Or could I not be a Flick customer at all if I had embedded generation. So the issue is with being able to handle the power meter (or more correctly, the power meter data I suspect). But, as always, watch this space. Flick do not supply gas at present. This is not an issue, there are a number of retailers which offer gas-only supply, and we also have a price comparison for mains gas and a price comparison for LPG bottled gas. As expected, signing up with Flick was pretty simple and done entirely online. Initially, I provided our address and a direct debit authority for the bill payments. You can also elect to pay by a credit or debit card, but Flick do charge a surcharge (currently 1%) to recover the credit card fees. Once the signup process was kicked off, I was advised that switching can take between two and 10 business days. After five business days we were confirmed as a Flick customer. Our first weekly bill arrived the next day. There was no mention of credit checks when I signed up and a number of customers who have a bad credit history with other suppliers have reportedly signed up as new Flick customers without issue. However, if you read their terms and conditions, they do reserve the right to request a bond before supplying electricity to mitigate the risk of bad debts. We have gas hot water and cooking, so we won’t use more than 8000 kWh per year. This makes us a Low User. I requested Flick Electric change our power tariff from WRCS to WRCL. Which is the ‘Residential – Low User – Controlled’ tariff on the Vector network. The change took about a week to filter through, which was faster than I expected. I know that some other companies will only change your tariff at the end of each month, so it could have taken a lot longer. We saw the impact of the Low User change immediately, with our daily power cost dropping from around $3 per day to $2 per day. Love it! As mentioned above, if you’re a Low User, Flick don’t charge a fixed daily retail margin. I expect this is due to the complexities of trying to comply with NZ legislation around Low User residences, which limits the fixed amount that a retailer can change per day, and retain their transparent pricing model. Instead, they charge an increased per unit rate of between 3.3 and 3.75¢ per kWh of energy used, plus GST, depending on where you live. You will still have a daily fixed charge, which is comprised primarily of a metering fee of 15 cents per day. This means with Flick if you are a really low user there is the opportunity to save even more. I think this would make Flick the ideal power company for a single person or a couple using on a few thousand kWh per annum. Flick don’t do Prompt Payment discounts and prefer just to offer the lowest rate possible. This is the same approach taken by Electric Kiwi and Pulse. 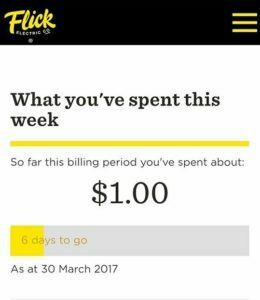 One big change in moving to Flick is that they bill weekly, based upon power usage for the previous week. Initially I thought this might be a pain, but actually it’s pretty painless. Our bill is pretty low (around $14 per week over the summer) so the payment just leaves the account and I don’t even notice it. I think it was a bold move on Flick’s behalf to implement weekly billing. But it really makes you watch your power consumption, and that can only be a good thing. Each month I record our power cost and post it online so I can see how they trend over time. You can find this under the about That Power Guy section. What really makes Flick stand out, in my opinion, is their mobile application and website. Their mobile app is pretty useful. It shows an estimate of the current wholesale power price and keep tracks of your bill as it ticks along. The bill is updated after the completion of each day, so as I am writing this it’s a Wednesday and the app is reporting my bill as $11.62 up until the end of Tuesday. Pretty neat huh! What is even cooler is the online website. It is delayed by a couple of days, but lets you really dig into your power consumption at a daily, weekly and monthly level. Here are some examples. I especially like how I can see when we set our dishwasher to run overnight. Will I Save Money with Flick? It depends. It depends on how you use your power and how you want to use your power. You are comfortable with per-unit power prices varying during the year as long as you save overall. If you are a super low user, using 3000 kWh or less per year, there is a very high chance you’ll be significantly better off with Flick due to the lack in fixed retail charge. Certainty around your per-unit power price is preferred and you are not comfortable with variable pricing. All things considered, I expect during the current environment of stable power prices most NZ households who care about their power bill will be better off exposed to the wholesale power spot market. Especially if they have the ability to shift their load to maximise the benefits of off-peak power pricing. With Flick quickly gaining market share, it’s inevitable that others will follow. This can only be a good thing for the New Zealand power industry as a whole. As consumers increasingly shift their power consumption patterns to take advantage of off-peak and night time electricity, this will decrease the stress on the transmission and distribution grids and make for a more efficient marketplace as a whole. Efficient = cheaper for us all. I have been asked what’s the difference between Flick Electric, Electric Kiwi and Powershop. I’ll try and quickly summarise. Another newish power company Electric Kiwi and have also been quickly gaining market share. 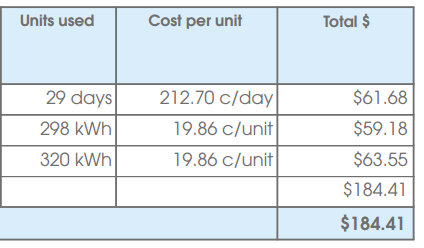 Electric Kiwi pricing is similar to a traditional power company, with a fixed daily rate and a per-unit power price. Electric Kiwi pricing is similar to a traditional power company, with a fixed daily rate and a per-unit power price. The biggest difference is that Electric Kiwi promotes their free ‘Hour of Power’. The Hour of Power is one off-peak hour per day you can nominate not to pay for electricity. Electric Kiwi uses your Smart Meter readings to determine your electricity usage, and electricity used in your chosen Hour of Power will be deducted from your bill. Like Flick, you’ll need to have a smart meter. Electric Kiwi use your smart meter readings to determine your electricity usage, and electricity used in your chosen Hour of Power will be deducted from your bill. Powershop prices fluctuate during the year based on wholesale power prices, similar to Flick, but the prepay ‘Powerpacks’ you purchase act to smooth out and significant peaks and troughs. 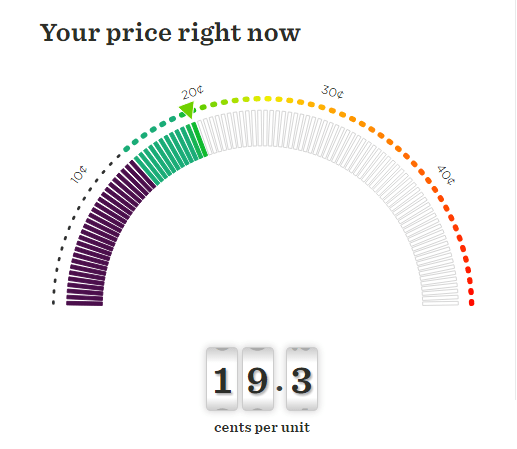 For example, on the Powershop website, you can get their estimate of average month-by-month power pricing for your area. If I look at Taupo for instance, Powershop estimates that in January the average low-user price will be $0.2559 per kWh, and over winter $0.2808. Buy a bunch of Powerpacks is kind of like paying for a bunch of smaller fixed-price contracts for power, rather than fixing your rates for a year or two. The time of day you use power is not measured, so you can’t gain the benefit of off-peak power consumption that is available with Flick and Electric Kiwi. No smart meter is required for Powershop. Cheers mate, off to sign up! I used 473 kWh in June. All day eco low user…..473kWh@ 29.5c/KWh. How does that compare with FLICK. Was with Flick, looked at the past 11 months of bills and compared to new offer from Meridian – Meridian would have been cheaper 9 of the 11 months and the same price for the other two. Meridian is 1.80 a day and 16 cents a KW. We use 1,000 to 1300KWs a month. One month Meridian would have been $100 cheaper. I have been with Flick for a few months. The example you present in your analysis re current KW rate of less than 20 cents unit is misleading. When your unit fixed charge rate is 19.9 cents KW currently with Flick in addition to wholesale spot price of x. A massive price spike last month saw spot price climb to $4 or so per KW. Albeit for a few hours, but wow! Flick needs to alert in real time to user via cell phone say if massive spikes are to happen, and they will they inform me. I queried Flick about the whopping spike, they informed me NI to SI transmission lines were unstable. The down side risk is large with fixed costs so high. UPDATE: It’s now 9:11pm (offpeak) and my real-time power price is 17.2 cents / unit. Previous PostPrevious What Is My Electricity Pricing Plan? Next PostNext Energy Club NZ Review – Is it a good deal?